The experience and quality workmanship of our team allow us to accomplish any type of a project, regardless of its size or complexity! Ironworks always strives to keep up with the latest technology in fabrication. 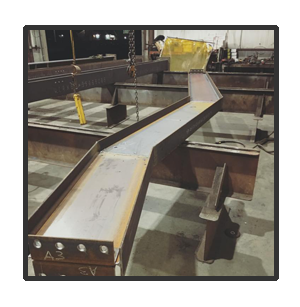 Through the use of automation with our Peddinghaus drill line, Peddinghaus angle line, Controlled automation burn table, and 44” dual miter saw we are able to process steel faster, decreasing costs and saving you valuable time and money. Ironworks provides full steel packages including stairs, rails, ladders. We also provide plate burning services. 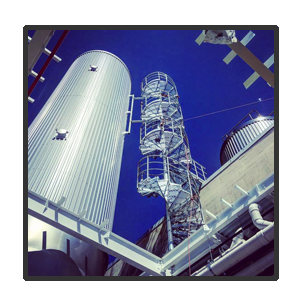 Ironworks is fully equipped to handle any project we fabricate. 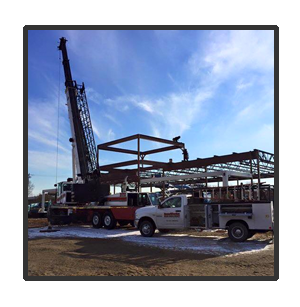 We provide our own cranes, material handling equipment, lifts, and a fleet of trailers to ensure the fastest, most economical erection process.